ESET appointed NCS Computech Ltd as their Regional Distributor to distribute ESET retail products for both consumer and enterprise segment in Uttar Pradesh, Chhattisgarh, Rajasthan, East & North East India. ESET plans to expand the business in India and penetrate the markets of Tier II and Tier III cities through NCS’ well spread distribution network in 100+ towns and excellent service to close to 2000 channel partners across India. With over 15 years of experience, NCS has emerged out as a successful distributor with their brand building exercises which will help ESET to strengthen the brand’s positioning across the markets. With this tie up, ESET provides a dedicated authorized Regional Distributor to cater the channels and end-user requirements more effectively. To increase awareness of the brand in the channel community, ESET will carry out training programs on products to channel partners through joint effort with NCS like short format trainings for partners for free, and long format trainings that would include grooming, product positioning, business development skills and regular discussions on the overall security scenario. RAPOO launched compact ultra-slim Blade series wireless keyboard RAPOO E9050. This multi-featured wireless keyboard is sleek, portable and slim which occupies very less space on a desktop. With 10m wide range of wireless transmission, users can work with ease and comfort without the hassle of tangling of cables. E9050 adopts the new generation energy-saving technology which leads to long battery backup of 24 months. RAPOO E9050 comes with new generation energy-saving technology and power on/off button endows it long battery life, which saves from the trouble of frequently changing batteries. The slim and brushed metal material base makes E9050 easier to clean and more durable than regular keyboards. Scissor-key technology brings greater comfort, speed, and a better tactile feel to the users. Lenovo recently hosted its annual partner event, ‘Internal Commercial Business Partner Meet 2014’, in Sri Lanka. The event recognized and rewarded partner contribution and unveiled Lenovo’s new Business Partner program for its commercial segment. This year’s partner meet brought together Lenovo’s core commercial partner fraternity and gave them an opportunity to get acquainted with the company’s new channel structure, and discussed emerging trends in the Indian enterprise market. Recognising significant contributions made by its channel partners, Lenovo also announced the outstanding contribution awards for the partner community. “The Lenovo Internal Commercial Business Partner Meet 2014 has been a resounding success, and it reaffirms our commitment to our channel network. We are confident of strengthening our market position by forging deeper relationships with our partner community,” said Rahul Agarwal, Executive Director – Commercial Business, Lenovo India. “Our partners are at the centre of our growth strategy and we will continue to empower them with a larger scope of addressable market opportunity and increased profitability,” he added. Lenovo commands a significant market share in the enterprise segment (FY13-14: 25% in the commercial segment without large deals, per IDC Q1 2014 PC Shipment report), and this is largely led by the channel partner ecosystem (up to 80%). The company is geared up to aggressively pursue its ‘Unstoppable 2.0’ growth plan in FY 14-15 leveraging its core partner philosophy. Oracle announced its Customer 2 Cloud Program in India. This initiative enables organizations to confidently embrace the cloud and use it to support business transformation initiatives. Speed, simplicity and flexibility are the key benefits that are attracting customers to this new initiative. The program addresses common financial and technical challenges organizations face in transitioning from on-premise software environments to the newer software-as-a-service model. The innovative program gives Oracle customers the financial flexibility to determine their best path to the cloud by providing the ability to re-direct existing Oracle Applications investments toward Oracle Cloud solutions in a way that strategically makes sense. Oracle Customer 2 Cloud is designed to help organizations convert on-premise applications to the Oracle Cloud by providing flexible financial models, rapid startup services and packaged cloud integrations. With packaged integrations between the most popular on-premise and cloud applications, Oracle customers also have the flexibility to shift to a hybrid model where on-premise and cloud applications work together for greater efficiency. The program will be open to all existing Oracle customers of HCM and CRM solutions from Oracle’s Siebel, PeopleSoft, JD Edwards, and Oracle E-Business Suite product lines. These customers can decide to redirect elements of their installed on-premise solutions to Oracle Applications Cloud within the same product family. This program helps customers get their hands on the latest innovation in Oracle HCM cloud and Oracle CX by removing common adoption barriers. This program will also be cost effective and allow customers release up resources to focus on other pressing issues. In addition the Program provides customers a practical path for extending their on-premise applications with high value cloud applications, versus wholesale replacements. For example, supplementing an existing core HR system with Oracle Talent Management Cloud or web self-services. To further assist customers, Oracle offers Cloud Express rapid startup services, as well as packaged cloud integrations that can help accelerate the migration to cloud and overcome integration hurdles. Research labs of three major engineering colleges – Nitte Meenakshi Institute of Technology (Bangalore), JSS Academy of Technical Education (Bangalore) and Chennai Institute of Technology (CIT), Chennai, are now powered with NVIDIA Quadro GPUs. The company has partnered with these colleges to upgrade their existing Computer Aided Design Laboratories (CAD), to create a talent pool that is ready to take advantage of the booming Engineering and Design industry. NASSCOM pegs this market to reach between $37-45 billion by 2020. These advanced labs facilitate students to evolve concepts, gain first-hand experience and learn key design applications to get a better understanding of the designing industry. Here, students get insights into Design Workflows, Complex Model Visualization, Designs Flaws and learn how to collaborate using 3D models for better and swifter decision making. This initiative has also enhanced the colleges’ reputation – which in turn helps them attract more students and recruiters every year. MSI is proud to announce its groundbreaking new Intel based ECO Series motherboards. MSI ECO Series motherboards are the pinnacle of technical ingenuity through revolutionary PCB and software design, resulting in less use of power than a light bulb! Introducing 3 new models with the MSI H97M ECO, B85M ECO and H81M ECO motherboard. The new MSI ECO Series motherboards offer an unmatched efficiency with power saving up top 40% while delivering 100% performance and 100% compatibility with all 4th generation Intel CPUs and high speed DDR3 memory. With reliable and fast Gigabit LAN from Intel, SATA 6Gb/s and USB 3.0 providing fast storage options and much more, the MSI ECO Series motherboards offer a wide selection of features. Guard-Pro and Military Class 4 provide all the stability you need through carefully selected and thoroughly tested components and materials.MSI’s new ECO Series motherboards for Intel 4th Generation core processors delivers an unprecedented efficient, top performing, feature packed experience no matter which model you choose. MSI ECO Series is the perfect solution for data centers and system integrators. MSI ECO Series motherboards are the next step in power saving, reaching up to 40%. ECO Tech Design is a groundbreaking hardware design for ECO Series to use less power than a light bulb! All this is made possible thanks to a revolutionary all new power saving PCB design. Included in the new PCB design is hardware based control to cut off all power to features on the motherboard such as USB and SATA ports while other solutions only disable them but still feed power to them. The hardware control of onboard features also allows control of standby power. MOBOTIX AG has organized an 8 city drive across the country to promote and inform the partners about the latest innovations in the surveillance market. This 8 city tour called the MOBOTIX-AG WakeUp Seminar was attended by more than 300 partners and is already creating a buzz in the surveillance market with the introduction of Thermal Camera, Advance Perimeter Detection MxActivity Sensor” and MxLeo: Camera with Low Light Performance. MOBOTIX-AG with Rashi Peripherals enters the Indian Surveillance market with their state of the art cameras and other reliable made in Germany products. The MOBOTIX –AG wake up seminar covered some metros like Mumbai, Delhi, Kolkata and Bangalore in addition to smaller but important cities like Pune, Ahmedabad, Secunderabad and Chennai. All the cities received a very positive response from the partner community and appreciation towards the world leader in the global market for high resolution video system. The wake up seminar was a two part event divided into morning and evening sessions for the partners. The response was very positive and overwhelming where the same amount of partners came to visit the each of the sessions and participated to the fullest. The session was concluded with a Q & A which lasted for more than 2 hours due to the enthusiasm and curiosity of the partners towards the new innovative products of MOBOTIX-AG. “I thoroughly enjoyed the presentation yesterday evening. The presentation was so engaging that I lost all track of time. By any measure it was very effective speaking and educating. I found your comments regarding future camera especially intriguing,” says M. Magesh from V J Network, Chennai. Asia Powercom announced their entry into the wireless range of products with the launch of their first wireless optical mouse – PowerClick 198. This super lightweight mouse is specially designed for people who live life on-the-go and is perfect for both left and right hand users. PowerClick 198 wireless mouse is optimized for professional use in any workplace. It can be precisely controlled, performs reliably and has a sophisticated and ergonomically functional design. It features a high-definition optical sensor with a pointer speed quick-select button for enhanced productivity and uses 2.4 GHz wireless for long range with minimal interference. This 3-button mouse is designed for both left- and right-handed users. The modern design, as well as the precise and absolutely reliable optical sensor technology (1,200 dpi resolution), guarantees fatigue-free work. Designed with modern Nano receiver technology, this mouse is ideal to use with laptops and notebooks. Hiatchi-Omron Terminal Solutions, Corp. announced that India’s leading public sector bank, Bank of Baroda (BOB) has launched cash recycling operations with Hitachi’s Cash Recycling ATM (HT-2845-V). BOB became the first bank in India, in implementing technology, to deploy Cash Recycling ATM solution for its customers. Much to the bank’s advantage, cash recycling operation enables deposited cash to be dispensed in future transactions. This reduces frequency of cash replenishment and cash loading in the machine, and also space of self-service terminals for cash deposit and withdrawal thereby improving efficiency of the bank’s cash operations. BOB has already installed 100 units of Hitachi’s Cash Recycling ATMs (HT-2845-V) in 2013. In the past, the Cash Recycling ATM was operated only as a Bunched Note Acceptor (BNA) to deposit cash. BOB and Hitachi have jointly worked on the existing system to upgrade it successfully for cash recycling operations. Strontium is set to launch its superior mobile data solution – the Nitro MicroSD with an OTG Card Reader – Mobile Kit, in the Indian market. The UHS-1 microSDHC/SDXC Flash Memory Card enables consumers to store HD pictures, videos and mp3 files and use them on their smartphones, tablets, GPS, and digital camcorders. The Class 10 microSD card maximizes the UHS-1 technology for outstanding NITRO performance, and guarantees performance of at least 85MB/s (566X) read transfer speed. It also contains storage up to 960 minutes of 1080p HD video, 26,208 photos, or 16,000 MP3 songs. The Kit also includes an OTG Card Reader (USB 2.0) that allows for data storage and transfer between OTG-compatible devices (smartphones, tablets, PC) through the microSD card, and has the #1 Android Backup application: MyBackup Pro Full Version worth US $4.99. Besides providing a microSD card with a superior write speed, the UHS-1 Nitro Mobile Kit also provides an OTG Card Reader, which means now one can carry a huge amount of data on their mobile devices. For example, if one is going on a long trip, one need not worry about putting only a handful of songs on loop for the entire journey, and can carry the entire gamut of MP3 files which they have, with themselves. The product comes with Strontium Limited Lifetime Warranty and free Door-to-Door warranty service in India. So for warranty, all a customer has to do is make a call to 011-40538675 and a Blue Dart representative will collect the product from customers’ residence, take it to the nearest service station for repair or replacement and deliver it back to the customers’ door. GIGABYTE Technology (India) Pvt. Ltd invited select Power Users and PC Enthusiasts, to discover and experience the extreme performance potential of GIGABYTE 9 Series motherboards, based on the Intel Z97/H97 chipsets. At the event named GIGABYTE Power Parade 2014 held in July in Mumbai, the invitees were treated to the exclusive technology features and performance possibilities of GIGABYTE 9 Series motherboards, by Colin Brix, Marketing Director, GIGABYTE Motherboard Business Unit, Technical Marketing Department. A major attraction of the event was an extreme overclocking session by the seasoned Indian overclocker, Shripad Kudtarkar, who used the GA-Z97X-SOC motherboard with an Intel Corei7 4770K processor, to display his overclocking skills. As the invitees cheered on, Shripad managed to achieve a SuperPI-1M benchmark score of 6.4 GHz! GA-Z97X-SOC is one of the three Z97-based overclocking motherboards launched by GIGABYTE, the others being Z97X-SOC FORCE and GA-Z97X-SOC Force LN2. Incidentally, very recently, two OC world records were accomplished using GA-Z97X-SOC Force LN2. While GIGABYTE’s resident OC evangelist, Hi.Cookie achieved a memory overclocking benchmark score of 4.56GHz during Computex 2014, the record was subsequently raised to 4.62GHz by another in-house overclocker, sofos1990. At the meet, Faheem Maldar, a power user and sound specialist, gave an intuitive demo on the GIGABYTE exclusive AMP-UP Audio Technology, using the motherboard model, GA-Z97X-Gaming GT. GA-Z97X-Gaming GT is a part of the GIGABYTE G1™ Gaming motherboard series that are equipped with the AMP-UP Audio Technology, featuring the industry’s highest level of onboard audio features and technologies. GIGABYTE G1 Gaming motherboards are equipped with the GIGABYTE exclusive AMP-UP Audio Technology, which provides the industry’s highest level of onboard audio features and technologies. With the 9 series, GIGABYTE has also introduced an upgradable, customizable OP-AMP wherein users can choose audio quality based on their individual listening preferences, supported by the wide availability of additional OP-AMPs. This helps in improving audio quality without installing costly speakers and high-end equipment. RiT Technologies announced the launch of its structured copper cabling solutions in India. The high performance, end-to-end structured cabling solutions include high quality cables, outlets, connectors, patch panels and adapters suited for next-generation networks and verticals across all segments. The complete product range would be primarily available through the RiT Technologies network of system integrators and channel partners, spread across Tier I and Tier II cities at competitive price points while maximizing return on investment. “India is a significant market for RiT Technologies, with a sophisticated IT market and tremendous potential for growth. We are committed to deliver the latest technologies, products & best business practices,” said Motti Hania, President and CEO, RiT Technologies. “Copper is the dominant form factor across key verticals in the Indian market and we will work closely with our partners in the region to provide the necessary sales tools, technical expertise, training and support to improve operations, and reduce costs for our customers,” added Hania. RiT Technologies’ extensive range of structured copper cabling solutions are designed with the latest advances in high-bandwidth technology to meet the infrastructure needs of enterprise markets and include: Category 6A solution, comprehensive Category 6 and CAT 5 premise wiring solution, and Category 7 copper cables. The high performance and premium quality product range of Category 6A and 7 cables for UTP / STP is assembled and tested at a RiT facility, adhering to the highest international standards. The RJ-RJ data communication patch panels and Patch-less installation for high-performance Category 6 network components are some of RiT Technologies’ unique product and service offerings. RiT Technologies leads in offering a wide range of structured cabling products & solutions and has thousands of installations around the globe, including Fortune 500 companies. Konica Minolta Inc has been awarded summer 2014 pick by Buyers Laboratory LLC, an independent company that evaluates office document equipment and solution products, for its excellent reliability, ease of use and great performance throughout BLI’s intensive lab evaluation. The devices completed BLI’s intensive two-month tests, 75,000 impressions evaluation with no negative reports, and no service required. Konica Minolta product line received excellent ratings in all categories of print image quality testing; the bizhub series was among the highest image quality results across the board monochrome devices tested to date. “Konica Minolta, true to the spirit of its corporate slogan, ‘Giving Shape to Ideas’, is enhancing the corporate value of its entire group by turning new ideas into solutions and products with high added value that meet diverse customer needs while raising the level of customer satisfaction,” added V Balakrishnan EGM Konica Minolta India. In January of this year, Konica Minolta received the 2014 A3 MFP Line of the Year award for an unprecedented 4 times in a row. This is proof of the success of Konica Minolta’s ongoing quest to meet different customers’ needs across diverse work environments, and its commitment to the development of a wide range of products featuring advanced, user-friendly technology. Product features of Konica Minolta that stood out among others were its high level performance, durability, and a conveniently designed control panel with touch and swipe scrolling. The Bizhub series offers great features, but above all the high and exceptional image quality of Konica Minolta printers is unmatchable. 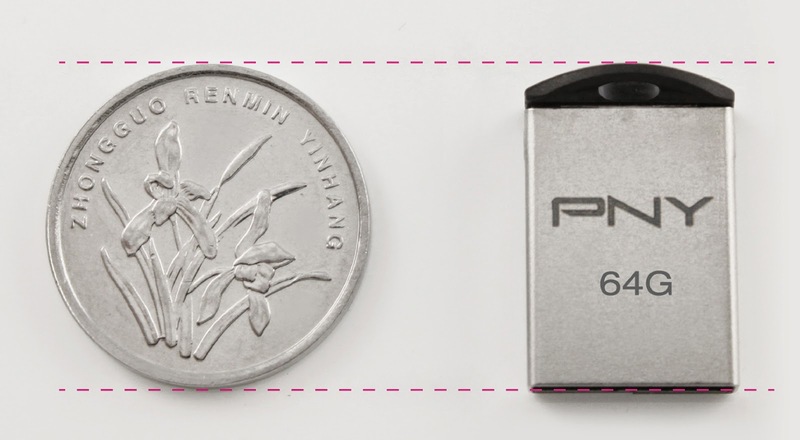 PNY technologies, is pleased to announce the release of their smallest USB flash drive, the Micro M2. This pint-sized USB is extremely small and compact, no bigger than the size of a coin. As the name suggests this is indeed a tiny size USB drive weighing only 1.8 gram with the height of 18 mm thus making it the ideal storage device for all the documents, music, documents and more. It comes in a high quality casing of metallic texture, making it resilient to scratches and dust. It is finished off with a matte finish look to prevent fingerprints. Its portability is enhanced with a lanyard loop opening located at the head of the USB, which can be attached to key chains, bags and other accessories. The cap-less design makes it convenient to use and you do not need to take the cap on or off anymore. Its ultra-small and compact size fits discretely into laptops, notebooks, tablet PCs and other portable devices without getting in the way in general use. The Micro M2 is available in storage capacities of 4GB up to 64 GB and offers 10 MB/ sec write and 32MB/ sec read transfer speed. It is operational with Windows 2000, XP, Vista, 7, 8, and Mac OS: 10.3 and above. It is backed up with a limited warranty of 5 years, perfectly suited for your summer budget buys and convenience. CyberPower Systems India Pvt. Ltd has inaugurated its Product Experience Centre in Mumbai, Head office, near international airport Mumbai.Michael Ho, President, CyberPower Systems, inaugurated the India Head Office at Mumbai on 18th June, 2014 by upgrading the existing office. This office will be headed by. Arun Ghosh, Managing Director with 60+ employees. On the same occasion the Product Experience center was inaugurated in the presence of Business Partners. Ingram micro, Redington, Supertron are the national distributors and through regional distributor the products are available with the retailers. In the past 1 year, CyberPower had put a lot of efforts develop our business channel & we have expanded our business presence in approximately 120++ cities across the country via B2B and B2C segment. Presently CyberPower have 1500+ Channel partners’ thro’ ND’s. In recognition of the commitment in innovation, excellence, and efficiency, CyberPower has adopted international safety certificates including CE, UL, UL CTDP, TUV and C-Tick throughout the organization to ensure the best degree of perfection. GIGABYTE TECHNOLOGY Co. Ltd. announced the winners of the GIGABYTE CATZILLA OC Contest hosted on HWBOT.org. With $1,000 and two GIGABYTE Z97 series motherboards up for grabs, the GIGABYTE CATZILLA OC Contest invited the overclocking community to push their hardware to the limit by running the custom made CATZILLA benchmark skin on their GIGABYTE 9 Series motherboard. Red Hat, Inc. announced the extension of their cloud collaboration with Cisco in India. The combination of Red Hat’s open source solutions and Cisco® technology has delivered innovative solutions to customers, enabling them to achieve greater IT efficiencies and bringing them toward next-generation enterprise computing. IDC estimated in 2014 that the size of the worldwide cloud systems management software market in 2018 stands at US$5.8 billion. With this in mind, Red Hat and Cisco have announced a new Center of Excellence in Gurgaon, India, to provide customers and partners with an opportunity to review their cloud frameworks and experience how they can deliver cloud innovation within their organizations. Red Hat will be showcasing technology solutions on Cisco platforms, which include OpenShift by Red Hat, Red Hat Enterprise Linux OpenStack Platform, and Red Hat CloudForms, designed to serve as the foundation for building OpenStack-powered clouds for advanced cloud users, such as telecommunications companies, Internet service providers (ISPs), and public cloud hosting providers. Dirk-Peter van Leeuwen, senior vice president and general manager, Red Hat Asia Pacific, and Rajesh Rege, director and country head (Datacenter & Cloud Business Entity), Cisco India / SAARC officially opened the center on July 23, 2014. In the last year, Red Hat and Cisco have collaborated on several new initiatives, including Cisco Application Centric Infrastructure (ACI), and a Cisco Validated Design (CVD) that incorporates OpenShift into Cisco’s latest Intelligent Automation for Cloud and Virtualized Multiservice Data Center releases, enabling enterprises to build a powerful PaaS with tools from underlying Cisco server and networking hardware to OpenShift. Cisco and Red Hat share a common view and approach towards next-generation IT architectures, and the new Center of Excellence in India shows mutual commitment to collaborate to deliver industry-defining solutions for the open hybrid cloud. ViewSonic Corp. unveiled its 10-inch wall-mounted multimedia all-in-one digital ePosters with wireless capability and power over Ethernet (PoE) for one-wire installation. The EP1031r and EP1032r-T are perfect for point-of-sale advertising on retail shelves, commercial businesses, schools and campuses, or as mounted meeting room signs for corporate and hotel lobbies. ViewSonic’s EP1031r and EP1032r-T feature 10.1” widescreen LCD displays, ensuring any message displayed is crisp and vibrant. Both products feature built-in wireless and LAN connectivity, and supports Power over Ethernet (PoE) for convenient content loading and device setting. For brands, this means they have versatile options to display creative brand messaging. The EP1030 family boosts a media player, 4GB internal storage and integrated speakers that enable the playback of video clips, photos and music from a USB hard drive or SD/SDHC memory card, plus VESA-compliance for added wall mount flexibility. ViewSonic’s EP1031r offers an 800 x 480 native resolution, programmable motion detection with six button programmability and Signage Manager Express content management software. The EP1032r-T builds upon the EP1031r features by adding integrated multi-touch technology and a 1280 x 800 resolution. This multi-touch compatibility, with new HTML5 and SMIL formats, delivers a two-way interactive platform for dynamic, customized content. 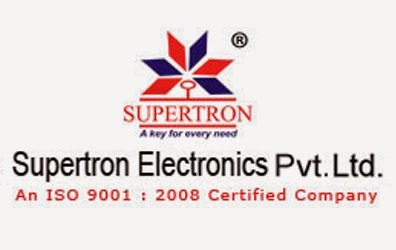 Supertron Electronics pvt limited, has organized National Sales Meet in Bangkok early May’14 and worked out a business plans for year 14-15.Company has set the target 2000 crore and each team member is determined and enthusiastic to achieve this goal. Supertron has set the theme for the year is “Towards a quantum leap”. Mr. V.K.Bhandari Chairman & managing Director of Supertron Electronics Pvt Ltd (SEPL) has explained that this is a concrete initiatives by the company and to reach this height, we have various plans and innovations. Supertron has foresees the future and promising market of SSD and added the product line and nationally doing the business of Samsung and Transcend SSD, Dell AMD series laptop, Dell TAB for southern market along with central india market Nagpur and Indore. Company is also focusing on special vertical of CVR( Car Video Recorders) which will be for Transcend , this product will go Online and also thru Automobile accessory market. Speaking on the landmark, Mr. Bhandari, said, we are adding new product lines in our basket and maintaining current market dynamics, Supertron is providing its partners a better support in terms of logistics, marketing & warranty, schemes & promotional support. We aim to add more retail partners, SI and dealers from smaller towns”. Supertron is already the National Distributor for Seagate, Transcend, Acer, Dell (Desktop, Laptop. DLP Projector and TFTs) IBM, Buffalo, Samsung, Digilite and Cyberoam to name with others. Supertron is also revamping the own PC Component brands “Supercomp” and focusing on smaller cities and offering quality products as UPS,TV Tuner ,Keyboard, mouse and SMPS. The 2014 FIFA World Cup has come to an end. This month-long tournament brought together the best soccer players in the world to battle for their countries. For the millions of die-hard soccer fans that could not watch the games on television during typical work hours, many turned to the internet to find any way to watch the action as the excitement of the games heightened. The cybercriminal communities have seized this opportunity to deceive fans online by broadcasting unsolicited advertisements for free live online streaming of the event and fake world cup related promotions that are difficult to resist. This introduces serious security risks and productivity concerns to the enterprise. These are classic baiting techniques that often result into dangerous fraud, phishing and malware attacks. Over the last week, the Dell SonicWALL threats research team has been tracking down all World Cup related spam emails. The emails have a common theme of trying to lure users of providing their personal information in exchange for full access to live streaming videos or to claim prizes from a FIFA lottery. For soccer fans inside and outside of the workplace that are looking for free online streaming of the games on their computers, laptops or mobile devices, they’re presented with plenty of bogus sites on the web. Some of these sites will redirect to another URL requiring users to provide their credit card information for full access to live streaming while others will prompt users to download special video playback software or install “missing plugins” that almost assuredly, if users click that URL, they will most likely download malware onto their devices. “At Dell, we are deeply committed to protect enterprises against business disruption by consistently delivering industry-leading security solutions that are well suited for today’s advanced-threat environment. With cyber criminals increasingly exploiting software vulnerabilities, secure network connectivity is a key area of concern for enterprise technology decision makers. To meet present-day network security requirements, it is therefore imperative to adopt a fool-proof framework coalescing the enterprise network that provides deep threat prevention”, says Murli Mohan, General Manager, Dell Software. Taiwan based IT conglomerate ZyXEL Technology has appointed Deepak Arora as its new Finance Head. Arora is expected to leverage his 15-year experience to strengthen ZyXEL‘s growing position. He possesses a rich experience in the financial matters for he has worked with conglomerates like KMG Infotech, Payal Chemical Industries and Media Video Ltd. Before ZyXEL, Arora played a leading role with Netherland based software major XEBIA. Madhukar Swayambhu, Vice President-Sales, apprised, “It is great to have Deepak on board. His proven skills would indeed stimulate profit and help build more confidence in the organisation.” Noteworthy, ZyXEL is expanding in a big way in India and SAARC for it grew by more than 200 per cent last year. Against such strong background, Deepak will be exposed to various facets of financial planning and accounting including budgeting, taxation, balance sheet etc. along with maintaining communication with the headquarters. His responsibilities will cater to India and across SAARC region, counting Sri Lanka, Bhutan, Bangladesh, Nepal, Maldives & Mauritius. Arora also said that being Finance Head of ZyXEL he will look for opportunities wherein he can keep internal processes and controls which would help ZyXEL to reach new places in the industry. He will be based at Corporate Office in Delhi. Envent World Wide Pvt. Ltd has added one marvel in its range of speakers – DEEJAY MAXX the 2.1 Multimedia Speakers with high power bass that promises to blow your mind away. Step up to a subwoofer for louder, fuller bass. With 50 watt RMS, get rich and balanced audio from compact satellite speakers-whether you mount them on the wall or set them on your desk. Its sound fills your room with deeper bass and has the power to reach every corner, complimenting your home decor, whatever the style may be. Envent’s DEEJAY MAXX with a Unique ID makes you feel the power of real music. “The 2.1 Multimedia Speaker DEEJAY MAXX is a perfect offering to today’s youth who are prone to frequent house parties and expect thundering bass in music. I am sure they will definitely love It.” says Sukhesh Madaan, Founder and CEO, Envent Worldwide Pvt. Ltd.
You can rock the party by playing your favourite party tracks on DEEJAY MAXX with your external USB flash drive OR connect this marvel with your PC, LCD or DVD player to enhance your games, music, and movie experience with deep bass. Equipped with all state-of-the-art technologies and sophisticated features, DEEJAY MAXX also lets you enjoy the latest tracks on FM radio which is an in-built feature of it and also the external FM antenna enables you uninterrupted and clear music even in places where most of the speakers fail to catch some FM stations. Moreover, the LED display shows you real time update of the track/ FM station which is on live. With a PMPO of 7200W, DEEJAY MAXX delivers exceptional audio in a breakthrough design. The slick and stylish Remote Control lets you control the audio experience in a much comfortable manner. So, bring these high end speakers home to create a fabulous ambience for all your social do’s and enjoy music in all its purity. Panasonic recently organized a full day master class workshop in Chennai at the Residency Towers. A total number of 53 partners and 36 partner organizations attended this workshop. This event primarily served as a platform to showcase the new range of displays and projectors to the partner fraternity. It was an extensive information sharing session where the new professional & commercial display line up was showcased underscoring the company’s efforts to create and drive preference around the usage of Panasonic display solutions among the partners community. The workshop commenced with the briefing session on the new Interactive Multi Touch Professional Display LFB70 Series, Network Display LFC70 Series, 65 inch LFE7 Series and Commercial Displays. The major highlight was the announcement of the LFB70 series of professional Full HD displays incorporating features such as intuitive touch screen technology, fully interactive whiteboard functionality (up to six touch points), superb image quality and wireless connectivity. The Built-in whiteboard software in these models allows one to turn on the display and start work at once without the need of connecting to a PC. Other than this, notes can be made on almost anything, from video and photos to PowerPoint® and PDF documents, and then saved as an image file which is simply brilliant from a usage point of view. The Series is designed with the next-generation wireless technology, Miracast allowing seamless High Speed Wireless Transmission of Content, including Full HD Video files, from Miracast compatible devices. The keynote address was given by Vineet Mahajan, Head, Display Solutions, Panasonic India who discussed that the launch of these products are beneficial for the Indian market and have enhanced the portfolio of the company by offering next-gen interactive training features in the professional display category. He also talked about the fact that all products showcased in the workshop will play an essential role in the Indian market. He also threw light on the company’s global vision and continuing technological innovation to provide the best of technology and ease of operation to its valuable customers. Cyberoam recently received the Best UTM Award from Garden City College of Science and Management Studies, Bangalore. It’s noteworthy, that Garden City College has been using Cyberoam’s product and solutions for some time now. The institution organises the event ‘GCC IT Puraskar’ to identify and appreciate successful IT and ITES organizations. There are 17 award categories under which IT companies are awarded. The categories include Best IT Innovation, Best ERP Service Providers, Best Software Application and Cloud Computing, among others. Cyberoam received the award under Best UTM category. Cyberoam UTM hardware appliances offer comprehensive security to organizations, ranging from large enterprises to small and branch offices. Its multiple security features integrated over a single, Layer 8 Identity-based platform make security simple, yet highly effective. Cyberoam recognises that in this rapidly changing threat landscape, educational institutions also require enterprise class security solutions and has been involved in raising awareness about the issue. Several leading educational institutions have already deployed Cyberoam security solutions at their premises. Kingston announced its latest addition to the SSDNow V300 series, the V310. The Kingston SSDNow V310 solid-state drive dramatically boosts system responsiveness while also offering 960GB capacity to store all movies, music, games, files and applications. The new SSDNow V310 is 10x faster than a 7200RPM hard-disk drive as a result of the Phison 3108 controller and 450MB/s read and write speeds2. With no moving mechanical parts, SSDNow V310 is shock-proof, uses less energy and stays cool making it more reliable and less likely to fail than standard hard-disk drives. The large capacity of the SSDNow V310 allows enough space for a true HDD replacement so users can migrate their entire hard drive over with storage to spare. The SSDNow V310 drive will be available in India by the next month, either as a stand-alone drive or as all-in-one kits that include all the accessories needed plus software to clone files and OS to make for an easy install. The drive will be backed by a three-year warranty, free technical support and legendary Kingston reliability. Huawei has partnered with Go IP in an endeavor to reiterate its commitment to being the most innovative and optimal ICT technology partner by forging strategic distribution partnership. This partnership will further establish Huawei’s expertise and technological capabilities and its leadership in the IP products and solutions domain. Go IP will come together with Huawei Enterprise as a Value Added Distributor, to accelerate Huawei’s GPON and Wi-Fi solutions in the Indian market along with selling other products. Huawei has reiterated its focus on reinforcing its extensive partner network and its intent to enhance its distribution network in order to collaborate with the appropriate channel partners for its vast and versatile ICT solutions and products. Huawei takes cognizance of the requirement for sustained synergy with its partner network and takes a number of steps including running channel service certification programs in order to enable them to deliver consistent services to its customers and to maintain standardization in the process. To drive strategic expansion plan in the Hyderabad market Konica Minolta Business Solutions India Pvt Ltd., a subsidiary of Konica Minolta Inc., Japan announced its alliance with Abhishek Computers and laptops. The association will facilitate Konica Minolta to put together its strategy and expand its presence in the city. Neoteric has launched a focused small-to-medium sized businesses (SMBs) initiative in India to support the rapid adoption of technology by SMBs to enhance business. As part of the larger objective to expand its market reach, neoteric is working with Alcatel-Lucent Enterprise to showcase end-to-end Alcatel-Lucent Enterprise solutions that cater to diverse technology requirements of SMBs. Neoteric will also leverage its relationship with Alcatel-Lucent Enterprise to share possibilities and educate its SMB reseller partners with planning meetings to facilitate sales options around new product and solution roadmaps. To kick start these initiatives, neoteric has conducted a SMB Meet for pan-India Alcatel-Lucent Enterprise partners in Bengaluru, on the 8thand 9th of July which served as a forum to educate partners on the latest Alcatel-Lucent Enterprise suite of offerings, as well as the Company’s go-to-market plans. Top partners were recognized at the event for their contribution in driving SMB business. Partners got an opportunity to experience the products, see live-demonstrations features and receive in-depth training on product usage and installation procedures. neoteric’s expert pre-sales team addressed the ‘on-the-spot’ queries of partners and helped them in understanding how Alcatel-Lucent Enterprise’s superior products support the future needs of their businesses. India on Monday announced the launch of an online-only passport application service in the UK from Wednesday, a move aimed at streamlining services provided by the Indian mission in London. “Applications for Passports will be accepted at the High Commission of India through online appointment system only with effect from July 23,” a High Commission of India statement said. “A total of 100 slots on daily basis will be available. The High Commission will continue to accept applications through post,” it added. The move is among a series of steps introduced by the Indian mission here to streamline services. The Indian mission had recently also set up a “Public Response Unit” as well as weekly “Open Houses” to coordinate its response to a growing number of queries from NRIs and people of Indian-origin in the UK. Earlier this year, the Indian High Commission had announced the launch of an online booking system for the submission of OCI (Overseas Citizen of India) applications to tackle waiting time at India House premises in central London. The process of outsourcing the collection and delivery for various services including passports, visas, OCI and PIO cards and various other consular services has been initiatedand is expected to be in place by the end of this year. A new report published by the Economist Intelligence Unit, Sharing the blame: How companies are collaborating on data security breaches, shows that such breaches occur at a high rate at companies in Asia. A survey of over 200 senior executives in Asia conducted for the report, which is sponsored by Akamai Technologies, shows only 35% of Asian companies are confident that they have not had a data breach in the past year. 40% of businesses also say they have experienced significant economic loss as a result of compromised data systems, with financial services firms the worst hit. Despite lapses in data security, corporate executives are not blaming their own IT departments. In fact, 85% of companies in Asia believe their own IT security systems are trustworthy. And 47% of business leaders agree that collaborating with industry by increasing the disclosure of breaches when they happen can minimise damage. However, collaboration remains rare, with companies unwilling to disclose the occurrence of customer information breaches with the media or competitors. 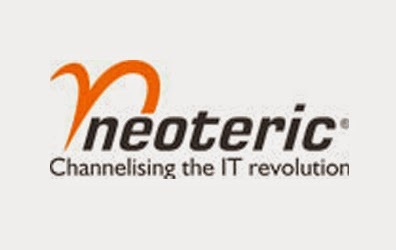 Neoteric has launched a focused small-to-medium sized businesses (SMBs) initiative in India to support the rapid adoption of technology by SMBs to enhance business. As part of the larger objective to expand its market reach, neoteric is working with Alcatel-Lucent Enterprise to showcase end-to-end Alcatel-Lucent Enterprise solutions that cater to diverse technology requirements of SMBs. neoteric will also leverage its relationship with Alcatel-Lucent Enterprise to share possibilities and educate its SMB reseller partners with planning meetings to facilitate sales options around new product and solution roadmaps. To kick start these initiatives, neoteric has conducted a SMB Meet for pan-India Alcatel-Lucent Enterprise partners in Bengaluru, on the 8th and 9th of July which served as a forum to educate partners on the latest Alcatel-Lucent Enterprise suite of offerings, as well as the Company’s go-to-market plans. Top partners were recognized at the event for their contribution in driving SMB business. McAfee released its second annual 2014 Most Toxic Superheroes list, with Superman coming in at number 1. This research is based on which superheroes are kryptonite on the web and result in bad links, including viruses, malware and sites laden with malicious software designed to steal passwords and personal information. With excitement building for the upcoming Batman vs. Superman: Dawn of Justice film, it’s no surprise that these superheroes top the list. As you can see, this year two female superheroes – Wonder Woman and Black Widow – soared their way to the top 10. Last year’s number 1 most toxic superhero, Aquaman, has sunken to the number 3 spot to tie with Wonder Woman. Robert Siciliano, Online Security Expert for McAfee, shares more information about how criminals follow the news and trends to take advantage of enthusiastic fans and tips on how these fans should protect themselves against toxic viruses and malware when searching about "Superman”. Please let me know if you’re interested in speaking with Robert to learn more about McAfee’s Most Toxic Superheroes list. Beware: Of content that prompts you to download anything before providing you with content. You may want to opt to watch streaming videos or download content from an established site, such as Hulu, Netflix, NBC, or ABCtv. Free downloads: Are significantly the highest virus-prone search terms. Anyone searching for videos or files to download should be careful as not to unleash malware on their computer. Methodology - Research was conducted during June 2014 on the top superheroes with upcoming film releases or films released over the last few years. The study uses McAfee SiteAdvisor site ratings, which indicate which sites are risky to search for superhero names on the Web and calculate an overall risk percentage. For example, fans searching for “Superman and free torrent download,” “Superman and watch,” “Superman and free app,” etc. are at risk of running into online threats designed to steal personal information. Clicking on these risky sites and downloading files like pictures and videos exposes surfers or consumers to the risk of downloading viruses and malware. PNY Technologies (PNY) considered one of the worldwide leaders in consumer electronics market and memory products, PNY technologies, is pleased to announce the new HP v239g USB Flash drives. This new product exhibits amazing amalgamation of luxury, style and elegance into one package. An innovative design of the v239g is the presence of a Ganesh head shape at one end, which not only looks classy but can also be used to secure the drive by means of a lanyard to protect it against getting lost. The HP v239g is cast in a metallic casing with high quality gold plating that gives it a polished and lustrous finish with rich look and also extreme strength and can easily handle rough use due to its endurance. The innovative housing gives it protection against dust, and it is even water-resistant. Thanks to the cap-less design, you don't have to worry about losing the cap. 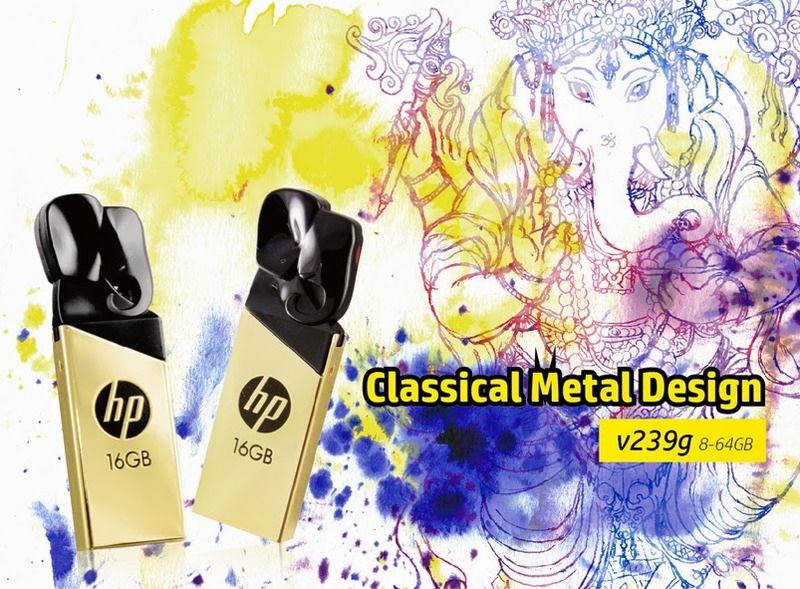 Its upscale design and style and to celebrate the Indian culture with the HP USB Flash Drive v239g and specially this unique waterproof flash drive will bring users prosperity, luck, happiness and intellect and also remove any obstacles, which makes this perfect gifting item. Weighing just 4.4 g, the HP v239g is considerably compact at (H)4.5 mm x (W)13.8 mm x (L)39.4mm, thus making it very easy to slip it into your pocket and take it with you. Although compact, it comes in large capacities ranging from 8 GB to 64 GB. You can therefore carry all your pictures, documents, movies, and music on this tiny drive. The USB 2.0 interface allows file transfer speeds up to 14 MB/s read and 4 MB/s write. The drive works with all recent versions of Windows 2000/ XP / Vista 7, 8, Mac OS 10.3 and above. It comes with a 2-year limited warranty from the date of purchase. Visit http://www.pny.com.tw/ for more information or to learn more about the entire line-up of PNY products. Xerox has retained the top position in worldwide managed print services (MPS) for the fifth consecutive year, according to a new report by analyst research group Quocirca.As the world’s leading enterprise for business process and document management, Xerox helps companies optimize their printing infrastructure with MPS, and streamlines their communication and business processes to grow revenue, reduce costs and operate more efficiently. The report says Xerox’s leadership position in a competitive marketplace is a result of diverse strengths, including continued development and investment in its mature MPS portfolio; the depth and scale of its service offering, which spans office printing, production printing, and IT and business process services; and its “deepened” broad range of assessment services. The report, which offers an independent evaluation of providers, shows a marketplace continuing to evolve beyond core MPS services such as device consolidation toward driving improved business efficiency around paper-based processes. As the long-time MPS market leader, Xerox combines technology and document management expertise with business process and IT outsourcing capabilities to address the “always-on” workplace and associated content explosion, and the impact on business productivity. Kobian announced the launch of Mercury Extreme8 Series motherboard P1H81Z designed for 4th Generation Intel Core processors.Mercury P1H81Z comes with a warranty of 3 years. It is compatible with Intel Core i3/ i5 / i7 series processors in LGA1150 package. Also supports dual channel DDR3, USB3.0 and HDMI. Barracuda Networks, Inc. announced the latest release of the Barracuda Web Application Firewall, version 7.9. This new version extends Microsoft Azure support with automated provisioning and configuration, enabling customers to take advantage of the dynamic, elastic nature of the cloud. The Barracuda Web Application Firewall Vx is available in the Azure Gallery as part of the new Microsoft Azure Certified program. Barracuda is presenting this new functionality at the Microsoft Worldwide Partner Conference this week in Washington, DC. According to Gartner, nearly 50 percent of large enterprises likely will have hybrid cloud deployments by the end of 2017. Further, IDC predicts by 2017, nearly $1 of every $5 spent on applications will be consumed via the cloud. Migrating applications or workloads to the cloud presents new opportunities and new challenges, and security prioritization is critical. The Barracuda Web Application Firewall for Microsoft Azure is the first integrated, fully scalable security solution available on Microsoft Azure. With predefined security templates for web applications and third-party packaged applications like Microsoft SharePoint, organizations can enjoy total application security with no need to learn, configure, and manage complex technology. It is fully integrated with Microsoft Azure and can scale dynamically to meet application performance and workload requirements. The Barracuda Web Application Firewall version 7.9 provides a robust set of functionality accessible through the RESTful API interface. This new functionality helps improve the automation process for configuration and provisioning, and it enables customers to leverage tools like Systems Center and Powershell in their automation processes. In addition to the enhanced public cloud support, the new Barracuda Web Application Firewall version 7.9 includes improved reporting and notification, increased application security, and a new infrastructure for templates.